Review: "Reform: Reveries of Reform" - Sea of Tranquility - The Web Destination for Progressive Music! Reveries of Reform is the latest Transubstans Records release from Swedish prog rock/jazz-fusion act Reform. The band is comprised of Jesper Bergman (electric bass and vocals), Peter �kerberg (electric guitar and assorted keyboards), Anders Bergman (drums), Magnus Ramel (keyboards), and Mattias Lennestig keyboards). 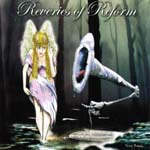 Reveries of Reform is the bands sixth album overall, and also features guest musicians and composers such as Bill �hrstr�m, �ke Eriksson, Per Tjernberg and Ralph Lundsten. With 2 CDs, there's a lot of material to take in here, but it's well worth taking that journey. Fans of 70's acts like Weather Report, Return to Forever, Brand X, Mahavishnu Orchestra, Camel, Yes, Genesis, and Lifetime will especially love the long instrumental pieces here, such as "Tax Vobiscum", "Another Happy Landing", and I Furuskogen". Extended musical passages featuring gorgeous electric piano, synths, and lyrical guitar will instantly remind of the great fusion and prog bands of the classic era. The vocal tracks don't work as well, like "Nuclear War", as Bergman's singing isn't quite up to the task, but thankfully the majority of the CD is instrumental. "The Faithful" with some sizzling wah-wah guitar licks and tasty piano, and the wonderful "Madame Riot Lajath" mixes fusion with some lovely Camel styled prog rock. That mixing of prog with jazz again surfaces on "Uncle Urri II", as tasty electric piano, floating synths, and legato guitar lines make up the majority of the mix. Reveries of Reform was a pleasant surprise, filled with sumptuous prog and exciting jazz-fusion that scratches that itch for vintage sounds of the 70's. No doubt I'll be investigating some of this Swedish bands back catalog after hearing this one.